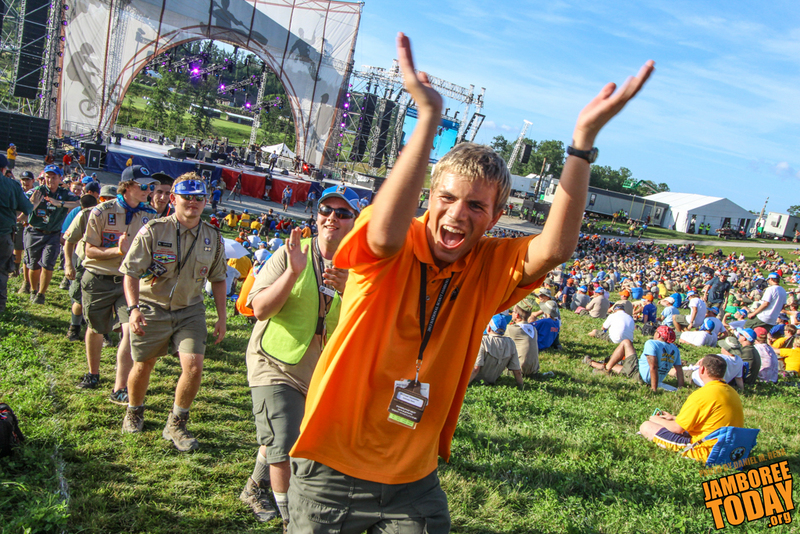 For the latest official updates from the Boy Scouts of America about the 2017 National Scout Jamboree, visit 2017jambo.org, which is maintained by a new staff team called JamboLink. "Live Scouting's Adventure" is the theme of the 2017 National Scout Jamboree, to be held at the Summit Bechtel Reserve in Mt. 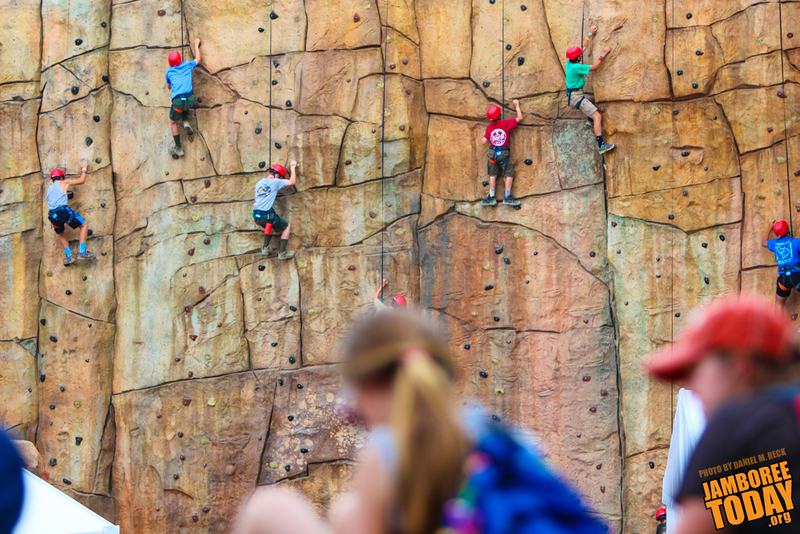 Hope, W.Va.
"The new jamboree theme reinforces one of the Summit Bechtel Reserve’s purposes of helping to redefine Scouting’s adventure for the next century. Participants of the 2017 National Jamboree will experience that difference every day they are here," said Dan McCarthy, director of the Boy Scouts of America Summit Group, in a BSA release. Read more: In 2017, We'll "Live Scouting’s Adventure"
A Jamboree Today staffer, Eagle Scout Al Drago, has won a prestigious national journalism award from the Society of Professional Journalists. Drago was recognized for his work with The Pendulum, the student newspaper at Elon University, where he is a junior and also photo chief for the Elon Local News. His front page illustration for The Pendulum's "Breaking the Bank" story in the February 6, 2013, edition won the Photo Illustration Mark of Excellence award in the small school division, which includes schools with 9,999 or fewer students. At the 2010 National Scout Jamboree, Drago was Jamboree Today's photo editor. He continued on the jamboree photo staff in 2013. 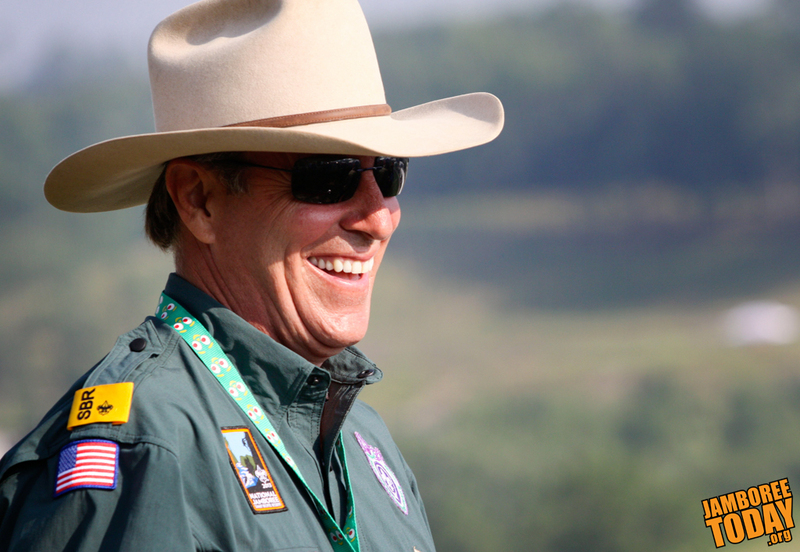 "The 2013 National Jamboree was truly a historic event," says Chief Scout Executive Wayne Brock. "There had never been a Jamboree like this one – partly because there had never before been a Jamboree site like the Summit Bechtel Reserve." 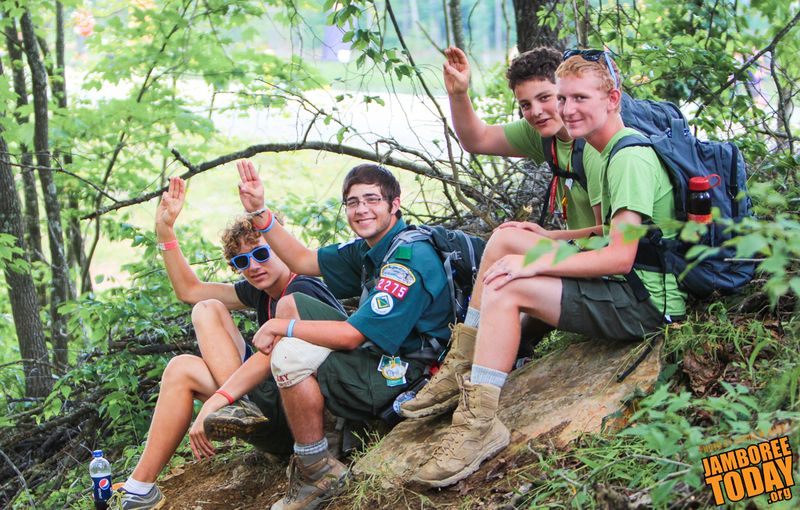 The Boy Scouts of America recently announced the 2013 National Jamboree yearbook. In photographs and text this volume provides a taste of the excitement and activities that Scouts and Venturers experienced at the jamboree earlier this year. Not long ago, the Summit Bechtel Reserve was little more than an abandoned coal mine and sawmill — and lots of pristine wilderness. No grand lakes, no canopy tours and no shooting ranges. Certainly no Scouts or Venturers. This is the life-long Scouter is the person who oversaw this property's metamorphosis into a site for a Boy Scouts of America high adventure base that would host both national and world jamborees.